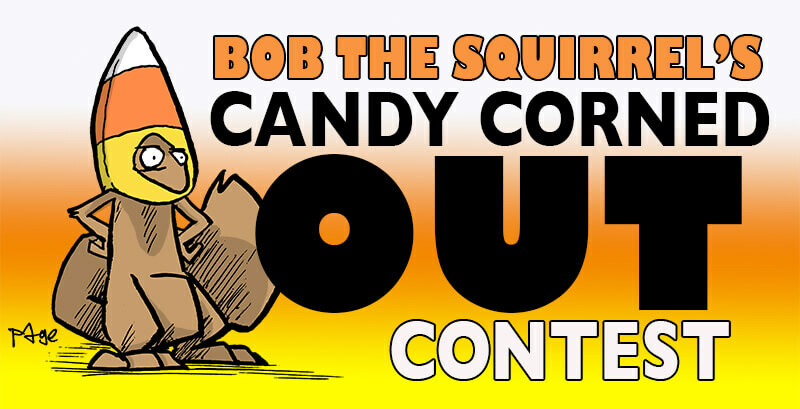 Bob’s CANDY CORNED OUT CONTEST! THANK YOU TO ALL WHO ENTERED! RESULTS SOON! The staff at Bob the Squirrel, along with Bob, are already (almost) completely out of candy corn ideas… and it’s not even September yet. Because of that, we thought we’d open it up to you. Send us one or two or ten of your squirrel meets candy corn idea combinations between now and Sunday, August 26th. We will pick FIVE of the best ideas and bring them to life. The winners will also receive the original artwork of that idea. Entry form can be found here! Thanks and good luck! Been a while since Bob bared (or is it beared?) his soul to the world. Maybe the world wasn’t listening… considering all the other things there are one can’t help (or is forced) to listen to. Here is a list of 10 MORE things you may not have known, written by the fur ball himself, about Bob the Squirrel. (The first ten can be found here). 1. I brush my teeth three times a year whether they need it or not. 2. Sometimes I just want to be left alone… just so long as someone KNOWS I want to be alone. Because if no one knows, what’s the point of being alone? 3. The day after Frank got his Master’s degree in art he began to draw me better. It was only for that day, but man, what a great day that was. 4. I don’t really long for being back in the wild. I have nothing to prove by dodging cars in the street. 5. I will love Rachael Ray until my tail is old and grey. You may have known that before this list but it bears repeating. 6. People in public will often call Frank ‘Bob”. They never call me ‘Frank’. Frank says he appreciates that but I can tell it’s killing him inside. 7. When Frank was on the verge of ending the comic strip in 2012, I was scared. I mean YOU try getting a job with only one thing on your resume. 8. I’m extremely selfish, but only when it comes to me. 9. I don’t mind the monotony of our daily life… just so long as it’s not the same every day. 10. 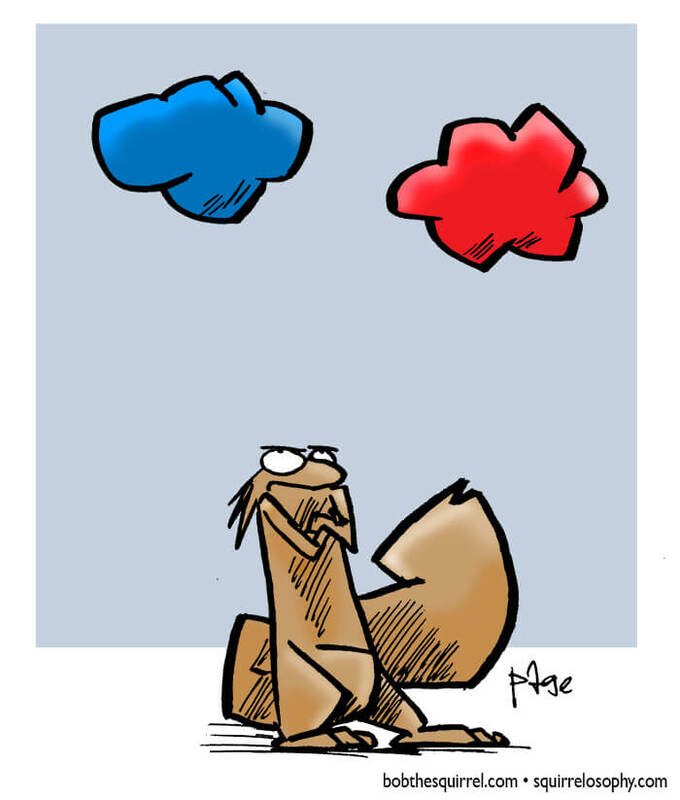 I’d be nice to be the most famous squirrel ever… or at least a half inch taller.